Sir Elton in Saint Tropez. Sir Elton John and his civil partner, filmmaker David Furnish, arrive at hot spot, Club 55.. Wallpaper and background images in the Elton John club tagged: elton john. 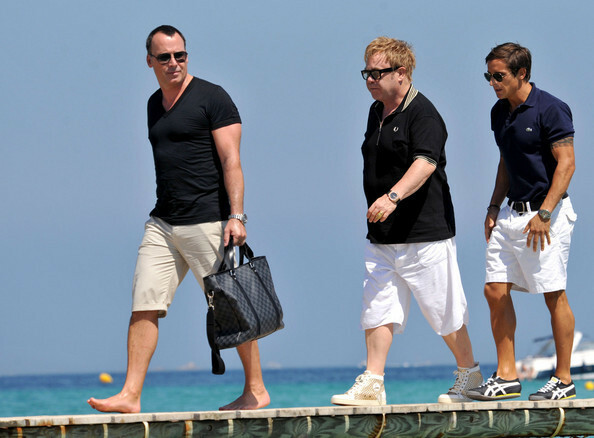 Sir Elton John and his civil partner, filmmaker David Furnish, arrive at hot spot, Club 55.